SI Oakland supports several local efforts to fight commercial sexual trafficking of young women in Oakland, including the Young Women's Saturday Program (YWSP) and Claire's House. In 2016, we screened "Sold," for a crowd of more than 100 people. This compelling feature film sheds light on the global challenge of trafficking -- told through the tale of one young girl who risks everything for freedom after being trafficked from her mountain village to a brothel. SI Oakland's contributions into 2016 and 2017 have helped support a teambuilding program for YWSP's young women and educational efforts. Club members joined the young women for workshops and career education. The club also brought a community service project to the group - to help the young women in the program contribute to community efforts that will help other women with challenges. One project produced warm and colorful blankets for moms and kids who have sought refuge and new purpose in a local domestic violence shelter. 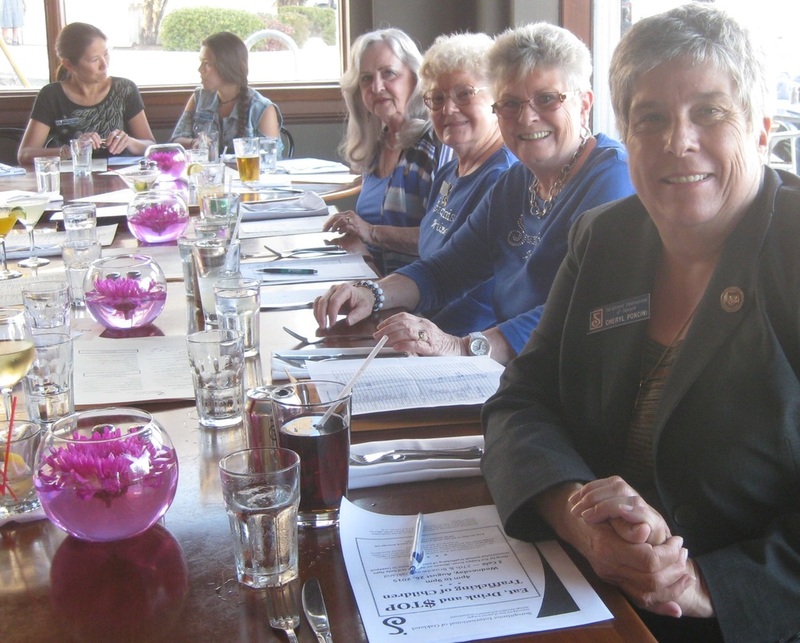 Another project helped produce reusable monthly hygiene kits for women served by a sister Soroptimist Club in Kenya. In 2017-18, SI Oakland will work with Claire's House as it opens its doors. Sponsored by Catholic Charities of the East Bay, Claire's House will be a home for young women between the ages of 12 and 17 who have survived commercial sexual exploitation. Claire's House will provide a therapeutic living community, a safe environment of genuine love, hope and healing.